Classic Car: 1965 Shelby GT350 For Sale | Car News, Reviews, & Pricing for New & Used Cars. 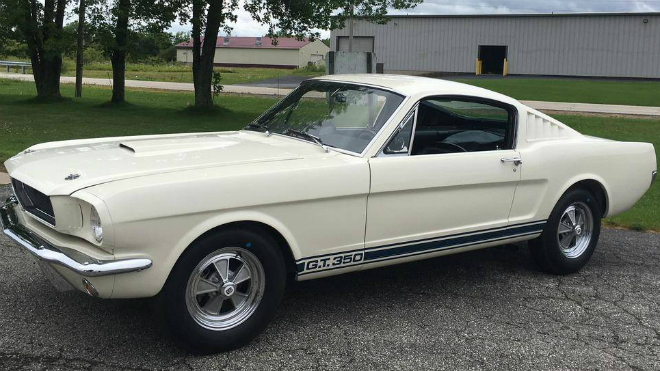 Hemmings, the world’s largest collector car marketplace is putting up a desirable 1965 Shelby GT350 for sale at $575,000. This example is one of the very first cars hand-built at Shelby American’s Venice plant prior to the production assembly line later cars. 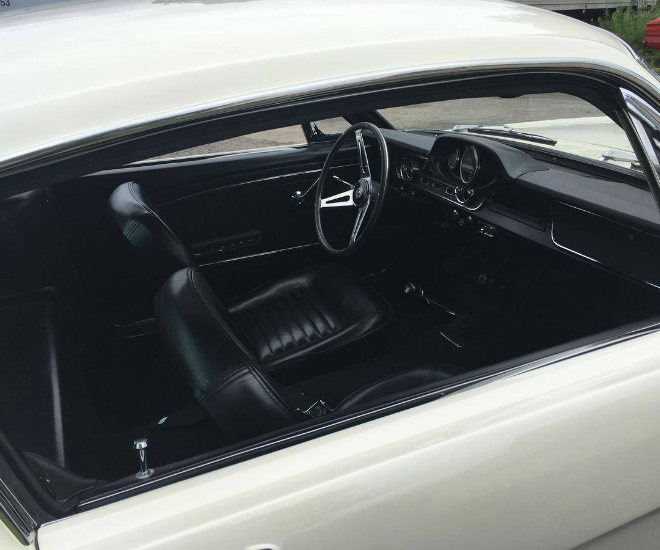 The 1965 Shelby GT350 was restored to Shelby American Automobile Club and MCA ‘s highest judging standards “with no expense spared to acquire and use assembly line parts in the restoration,” commented the private seller. Finally, everything was restored to stock 65 specifications and some of the notable parts of the 1965 Shelby GT350 displayed the Wimbledon white exterior with proper uniform “Orange Peel”, guardsman blue side stripes with proper GT350 Logo, assembly line grille with proper blue colour, original cast aluminum grille bull nose, original grille support bracket, Venice early hood, triple plated show chrome Ford original bumpers and NOS assembly plant roof rail and door seals.